Happy Yummy Monday! 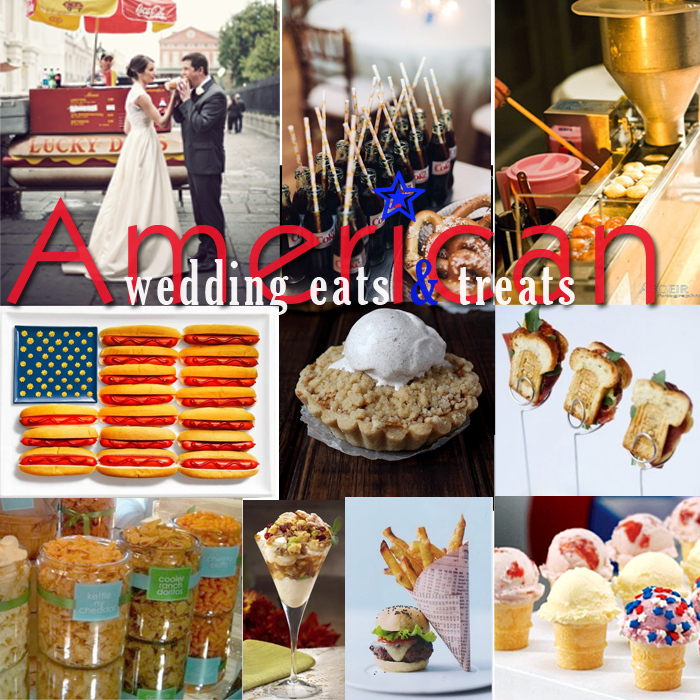 This week kicks off the week of America's birthday and we thought nothing could be better than to highlight some great American inspired ideas for your wedding eats and sweets! We've collected some fun ideas and hope you have a great day! These mini cones from Baskin Robbins are totally adorable and customizable. July 4th is usually pretty warm and what could be better than cooling off with some yummy ice cream! 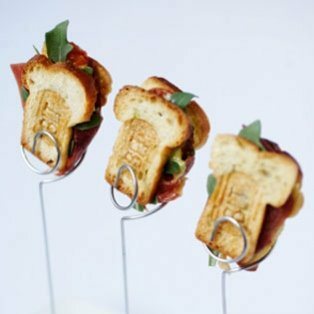 I'm not sure what's cuter - the little "BLT" branding on the toast of these mini BLT's or the little wire holders? Either way, we think these would be a hit! 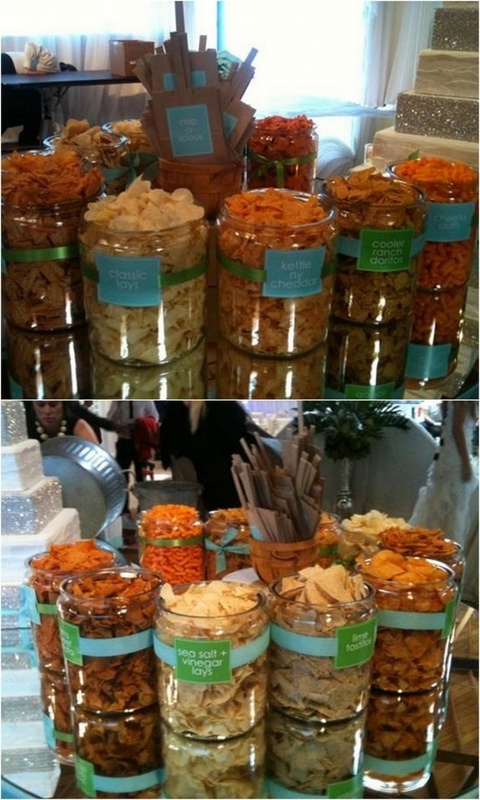 Candy Buffets are all the rage at a party but a Chips Bar is so genius! Doesn't anyone out there want me to create a Chip bar for their event? Anyone?? These bottles of Coke with warm soft and salty pretzels make a great late night snack at your wedding! If you are lucky enough to get married in New Orleans where Lucky Dogs are king, then this photo opp should be on your must do list! 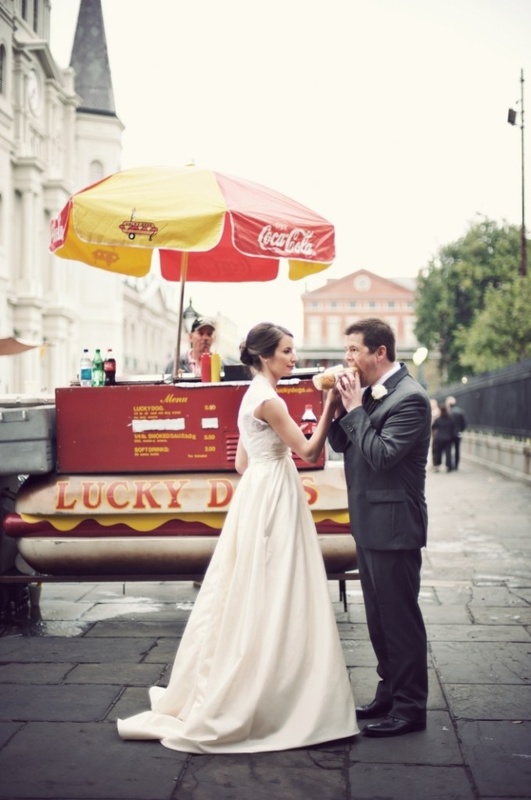 Better yet, rent a Lucky Dog cart to be at your wedding for late night snacks! Mini donuts fried on the spot at your wedding? WHAAAT??? 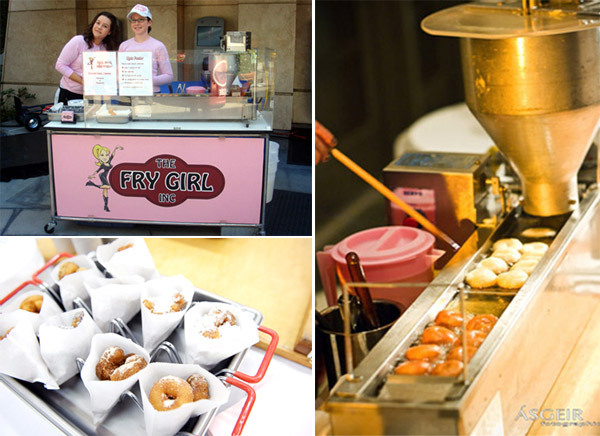 If we were a little closer to Venice, California we would want to be BFF's with The Fry Girl! We can dream of a New England expansion, can't we? You know the saying "As American as Apple Pie", right? Well, apple pie with a scoop of cinnamon ice cream sounds like a delicious ending to your wedding meal! The quintessential burger and fries done in mini version. We are huge fans of Peter Callahan Catering and his artful creations! 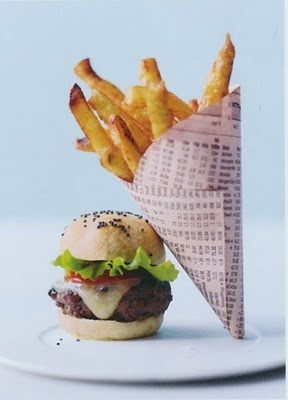 This mini burger and mini cone of fries looks perfect! Even though my friend from Chicago would frown at this picture of hot dogs with ketchup, it is a wonderful photo and one we had to include in our American Eats and Sweets for your Wedding!